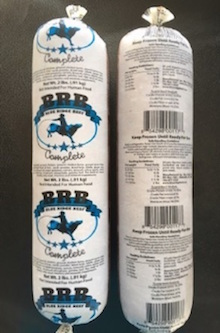 A single lot of Blue Ridge Beef BRB Complete frozen dog food is being recalled because of the potential for contamination with salmonella and listeria. This is the 2nd recall of 2018 for Blue Ridge Beef. The company recalled a frozen raw cat food on March 1 for the same reason: potential salmonella and listeria contamination. The affected lot of BRB Complete was distributed in Florida, Georgia, South Carolina, Tennessee and North Carolina.